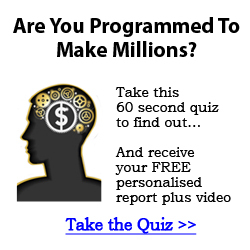 How Can Subliminal Messages Help To Improve Your Self Confidence? We all know a friend who is naturally confident, they are social and extroverted and they are very outgoing in all situations. Perhaps you are more introverted and “naturally” shy. You may feel like your confident friends are gifted from birth and you will never be like this, but this isn’t true. Confidence is a skill that anyone can learn. The only difference between you and these confident people is that they have developed the skill from their childhood and experienced a lot of positive reinforcement, whereas perhaps you have faced rejection or criticism in the past, and where they grew more and more confident you perhaps grew anxious, or a little more shy and entered a negative spiral of sinking confidence. Confidence is all in the mind – i.e. in the way you process your thoughts, and importantly your self beliefs and beliefs about what you are and aren’t capable of. Once you have the ability to change these patterns of thinking within your mind and change your self beliefs then you will really become more confident. This is when subliminal audio can be useful! 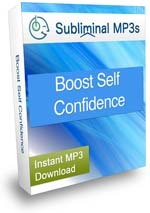 Subliminals will can gain easy access to your inner min naturally and make changes to these negative self beliefs. Gradually they will replace them with positive beliefs and stimulate positive thoughts within your mind – basically to stop you thinking like you do and help you to instill the types of beliefs and thought processes shared by the naturally confident people you look up to. Just imagine what it would be like to have the same set of self beliefs as someone who is just naturally confident – feeling excited by social interactions, feeling more extroverted, actually wanting to voice your opinion – think how confident these beliefs would make you on the outside! 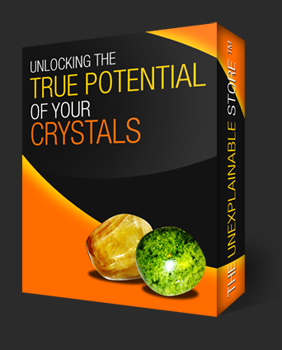 Get started right away with the ultimate subliminal confidence album, or if you have not used subliminal messages before you can download free subliminal mp3s. I Can’t Meditate. Yes You Can! So don’t judge yourself harshly if your mind wanders during meditation. This is normal, and even the most experienced meditators still get lost in a few “mental wanderings” during their meditation…sometimes more than a few. Now is the time to remove the phrase “I can’t meditate” from your vocabulary. You can meditate, you might just have been holding on to a false idea of what meditation is supposed to feel like. If you are really struggling with meditation, then my best advice is that you take a step back and don’t try too hard. Give yourself permission to be imperfect. If your mind wanders off during meditation – and it will – remember that this is perfectly OK. For some people, this simple realization is enough to take the pressure off their meditation practice and make room for a more relaxed approach to meditating. Sometimes, we just need to get out of our own way! Sometimes when someone says “I can’t meditate”, what they really mean is “My life is out of control, and I am so stressed that I am incapable of sitting still for just 5 minutes”. I think you get the point. John doesn’t need more meditation or some magical “quick fix”. What he really needs to do is change his stressful lifestyle and stop hitting himself with a hammer all day! Ironically, people who feel this way about relaxation are usually the ones who need it the most. Even worse, some people are so incredibly busy that they do not even realize how chronically stressed they really are. It’s not until they try meditation that they realize how much noise and calamity is roaring around in their mind. The noise is so overwhelming that their conclusion is “I can’t meditate. This is way too hard”. Inner stillness is actually a very normal, very natural part of life. Look into the eyes of a newborn baby and you’ll know exactly what I’m talking about. 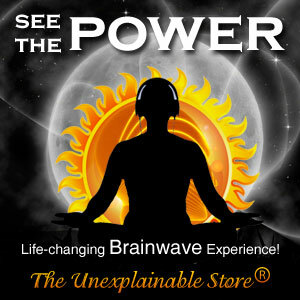 To understand how brainwave entrainment works a understanding about brainwaves will be helpful. The 4 most common brainwaves are beta (13 hz – 30 hz), alpha (8 hz – 12 hz), theta (4 hz – 8 hz), and delta (0.5 hz – 4 hz). Although all 4 brainwaves are active in the brain at all times, one of these patterns is usually dominant depending on whether you are busy, emotional, relaxing, sleeping etc. Your dominant brainwave pattern is responsible for your state of awareness at any given moment. Beta waves (13 to 40 Hz ) – Beta is identified with active, busy or anxious thinking and active concentration. Alpha waves (8 to 12 Hz ) – When we begin to relax or begin to get drowsy, but are still awake and conscious, when we are day dreaming, we are at the alpha level. Theta waves (4 to 8 Hz) – When we are asleep and have dreams, and experience rapid eye movement (REM), and have hallucinations, and even when we experience deep meditation, we are at the theta level. When we lucid dream (this is when you are conscious while you are dreaming) we are at the theta level. Delta waves (0.5 to 4 Hz) – Delta waves are usually associated with deep, slow brain activity found in deep sleep. Delta waves are experienced predominantly in newborn infants, as well as in healthy adults in deep rejuvenating sleep, or in very deep states of brain enhancing, emotional cleansing, bodily renewing meditation. Gamma and HyperGamma brainwaves (30 hz – 100 hz) which are usually very weak in the average person. However recent studies show that gamma brainwaves have been found to be very strong in Tibetan monks while doing a Loving Kindness meditation. Those who are advanced in meditation experience hyper gamma and lambda brainwaves which are normally very weak, or even nonexistent, in the average person. Mystical consciousness is associated with hyper gamma and lambda brainwave activity where epsilon brainwaves are present. 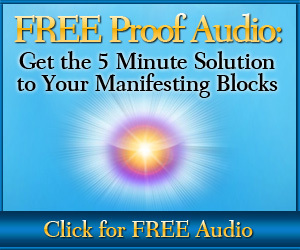 ▶ Best of Binaural Beats Audio and Video – A Video PlayList on Dailymotion.